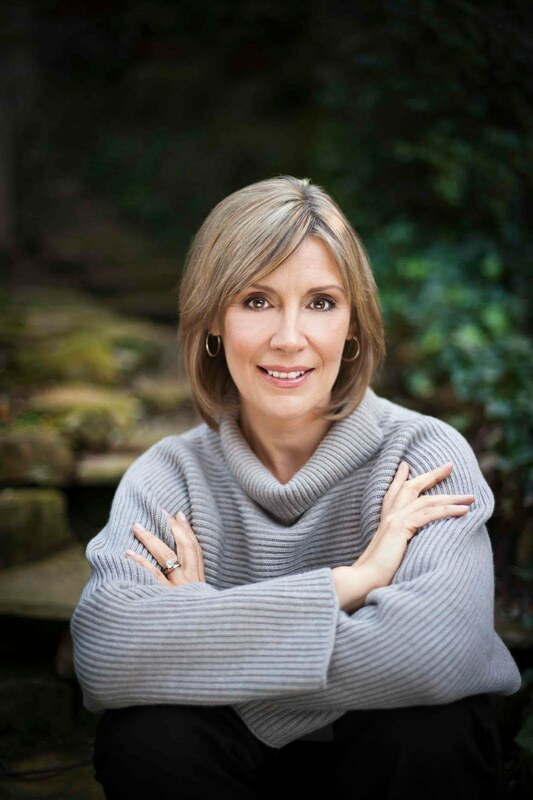 LUCY BURDETTE: As you probably realize by now, I've been on a tear reading fiction involving food to get mentally ready for my food critic mystery series. I can't wait to read AFTERTASTE by Mereith Mileti--it's sitting on my nightstand, with that gorgeous yellow cover calling to me. And lucky for us, Meredith is here today to talk about the difference between bakers and cooks. And to give away one of her brand new books to a commenter. Welcome Meredith! characters, forcing them to hold the ridiculous opinions instead of you. might think you’re imaginative or creative. and something of a loose cannon. She has all sorts of half-baked ideas. artists of the culinary world, to the baker’s blue-collar workman. too many rules in baking for me. the blue-collar workmen of the culinary world. something new or turn the page of a book to find an unexpected twist. needs. Throw in something unexpected. Which are you? Cook? Baker? Or Both? Since producing her first batch of gluey brownies from her Easy-Bake oven, Meredith Mileti has loved cooking for her family and friends. She is an adventurous and eclectic diner, and appreciates any well-cooked meal, whether from a lobster shack in Bar Harbor, a friggitoria in Naples, a Michelin-starred restaurant in Paris or an undiscovered little gem in her Pittsburgh neighborhood. Aftertaste is her first novel. Follow her on twitter! Hi - I am looking forward to this series. I am both a cook and a baker, but not creative elsewhere. Hi, Meredith! I've always wanted to write about food, and I occasionally manage to fold it into my fiction, but I'm jealous of you and Lucy. Like you, I'm more of a cook than a baker, though I make a mean pie crust. I like to concoct, but if you ad lib in baking, usually you end up with a mess. I'm with Mirabella, I think baking is sort of rule bound. I love to cook but am not all that interested in following directions. Although I have found that the more I bake, the more I can get away with improvising - but thats because I don't hae to produce professional results. No one here minds that much if hte dark chocolate cake doesn't hold together all that well -- as long as it's full fo dark chocolate. It never occurred to me until sometime in the last few years that there was any difference! Then I realized that my mother was a baker, and most definitely not a cook. I'm both, almost equally, although we try not to eat baked goods, except really good bread, any more. I mourn. One of my daughters is a baker with mad skillz, and she has a cooking blog about her results, http://www.thetartskitchen.com/ Not much has been posted lately; she's a graduate student, and she's getting married in a few weeks. Meredith, I love the idea of framing a novel around courses. Will most definitely look for your book! Best of luck with it. I am a baker who doesn't follow directions very well. So I'm a disaster with bread, but my cookies are always an adventure. We never know what kind we'll end up with. But add chocolate, and you can't go wrong, right? Oh, what a great comparison! And fascinating. Baking, though, you can't finesse. I wonder if you can't be a cook--without first being a BIT of a baker? Karen, no wonder your daughter has no time to write! You must be busy too:). I cook and bake, but in truth, baking is more of a pleasure--maybe because I don't do it every day. (We'd be big as houses!) I made an incredible peach cobbler last night--recipe will be up on Saturday. Meredith, we're so happy you're here! We want to be invited to the next big dinner! Meredith, we divide down the middle in our family. I'm the cook, and my husband is the baker. My technique for making a dish consists of looking at a recipe, substituting half the ingredients, throwing in as much as seems good and baking/broiling/sauteeing it until "it looks right." Drives my husband absolutely around the bend. Ross on the other hand, can make brilliant pies, cakes, etc. He measures EVERYTHING precisely. He puts together ingredients in the exact order specified, and if he's missing something, he runs to the store to replace it. He'll experiment, but in his case it's more like one of those lengthy algebra problems where you change one variable and then run through the whole equation. The results? For me, tasty dinners I can never quite replicate. For him, pastries our friends literally fight over. This looks like a great book. I like to bake and it's not as mysterious and rule bound as many believe. I have tried changing recipes with success. However, to be really creative, that's why I cook. What a wonderful post, and another fabulous book to read. I do it all - cooking by improvising, pastry by the recipe, and bread. I think that bread-baking is a different art than pastry and agree with Meredith on the quality of the experience. I don't measure anymore when I bake bread (except for the starting water), and it really is in the feeling of the dough. I learned from the Tassajara Bread Book back in the early 70s and still love to read Brown's essay on nurturing the yeast. Thanks everyone for making me feel so welcome! I'd love to invite you all over for dinner! So many wonderful comments - where to begin? First, Hallie, a great pie crust eludes me. Any tips you are willing to disclose? I recently told someone I struggled with pie crust and and she told me her secret is to substitute ice cold vodka for the ice water. Interesting, don't you think? Have you ever heard of that? Karen: I'll look forward to checking out your daughter's cooking blog. My daughter is also a wonderful baker. She was home for the summer, so lucky for me (not necessarily for my rapidly vanishing waistline) we had delicious treats all summer long. I hear you on the bread...I have no self-control when it comes to homemade bread. I'm down to making it once a week. Sigh. Nancy: Was anything ruined by too much chocolate? Don't think so. Edith: I love the Tassajara Bread Book. It was the first cookbook I ever bought and I still use it. Mine is so warn and stained and annotated. Talk about a wonderful food writer! Ed Espe Brown is one of the best. Pie crust... Vodka? Add it to the chef, not the mix. Then however the crust turns out you won't care. I think the key to good pie crust is not to overhandle it and don't make it on a hot day. The antique wooden rolling pin I use -- one piece of wood -- helps, too. The worst thing about pie crust is flour everywhere, no matter how much wax paper I roll out to line the counters with. I think I'm a baker. Recently I've been exploring the chemistry of baking. And I love cooking novels! Cooking yes, baking no, except bread. Too much finicky measuring. I love the feel of kneading dough. Also kneading pasta because you can make the most interesting fillings and sauces for pasta. I concocted a red pepper puree & goat cheese filling from leftovers which was so delicious I now make it from scratch. If my mystery ever gets published, recipe will be in the book! Lucy: I've got a basket of peaches ripening on my window sill. Should be perfect and ready for cobbler any day. I'll look for your recipe on Saturday! Hi Meredith--I'm sure I will love your book--novels that revolve around food are my secret (or not so) addiction. And the cover is fabulous! Makes me want to gobble up the book! Like you and many of us, it seems, I'm a cook rather than a baker, although I do love making bread. My bible for years was Laurel's Kitchen Bread Book, and I know exactly what you mean about the dough coming alive in your hands. I get very impatient with any kind of novel where the characters don't eat. How about you, readers and Reds? I agree - what a scrumptous cover!! I'm more of a baker than a cook. I tend to allow myself to fall into a rut with my cooking, but baking makes me hum. I look forward to reading AFTERTASTE! Do you know the Blue Strawberry Cookbook? Change my life! Meredith, I remember hearing something about putting vodka in baking. I think it was Ina Garden who said it. I haven't tried it. I tend to both cook and bake but I'm definitely a cook. Baking requires mathodical patience, so I have to be in the mood. Looking forward to your book and I'm going to check you duaghter's blog right now. The secret to good pie crust is having low blood pressure. Seriously. The colder the butter or other fat, the flakier the crust. I work my piecrust with my fingers, and since they're totally bloodless, especially in the winter, I get flaky crust. My mother has high blood pressure, and she can never get hers to do the same thing. Of course, you could achieve the same results by only touching the ingredients, made cold in the fridge, with a mixer or pastry blender, too. But that doesn't sound as much of a secret, does it? I've always been more of a baker than a cook. I love, love, love to bake. But as someone else mentioned earlier, I've had to curtail my baking in recent years, too. Same reason--it's way too easy to put on the pounds. Wow, step away from the computer for a couple of hours and this turned into a house party! Thanks Meredith for being here and getting the party rolling. Gang, stop back tomorrow-we'll announce the winner of Meredith's book and make arrangements to get it to you! Can't find the announcement of who won! 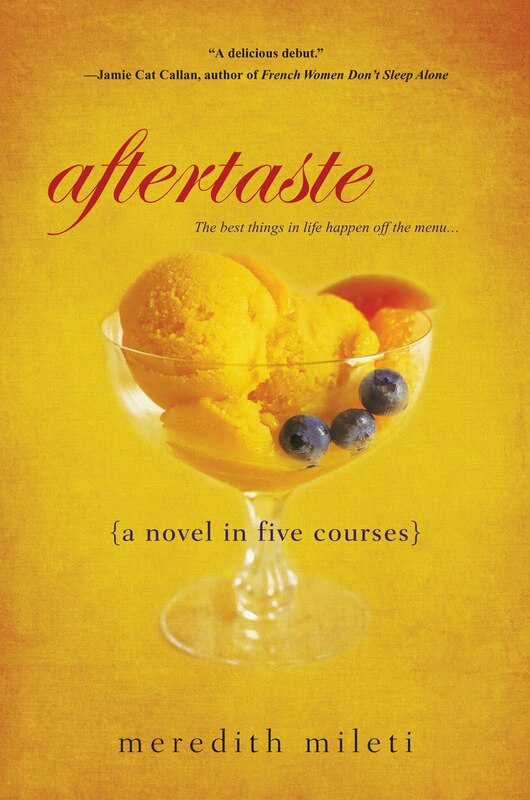 Sorry to be late on this--Edith Maxwell is the winner of AFTERTASTE! EDITH, shoot me an email and I'll put you in touch with Meredith. The rest of you--read this anyway. It's delightful! I got the free book, and just finished it. Fabulous read! Yum. Details about being a chef. Intriguing love stories. A lovely and realistic portrayal of what it's like to be the mother of a baby. Not a murder mystery, but the mystery of what was going to happen next kept me reading without ceasing (to the detriment of my sleep and my family's dinner, but we'll all get over that). Thank you, Meredith!